If you like taking photos, and you’d love to make some income doing something enjoyable, you should know that right now is the perfect time to give it a go. 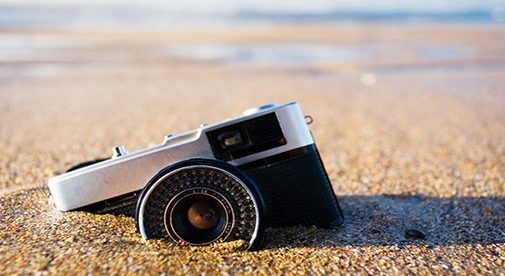 There is a greater need for photos now than ever before…and photo buyers don’t care about your credentials or your camera. They just want good photos they can use. And with a little know-how, you can be the one to provide them, for cash. As a visual person, I’ve always liked taking photos and drawing things. But, like most creative types, I didn’t think I could sell my photos or make any money doing things that are fun. Turns out that old idea of the “starving artist” pushes a lot of creative folks into safe jobs that they don’t really like. All of that changed when I met photographer Shelly Perry. She wasn’t big and loud, like wedding and event photographers. She’s quiet, shy, and small—not at all the “salesy” type. And still, she made her living selling her photos online through stock agencies. With zero photographic training, I decided to give it a try. Now I make over $10,000 a year in my spare time selling my photos as stock, and taking portraits and family shots. It may not sound like a lot, but I spend about two to five hours a week on it…so it’s a great little side gig. And it’s a lot of fun. These days, with photography, you don’t need any experience to get started. And if you have a little more time to spare than I do, you could potentially replace your income with it. 1. You don’t have to be a salesperson. If you are, then great. You’re already a step ahead. But if you’re not, there are plenty of avenues where you don’t have to walk around, hawking your wares. Stock agencies, for example, do all of the selling for you. You just upload your images, add some keywords, and go do other things while they sell to buyers all over the world. 2. You don’t have to know much about photography. Of course, you’ll continue to grow your skills as you go, but photography is one of the rare places you can start to make an income before you fully understand how it works. What’s most important is knowing which of your photos will sell best…and that’s something you can easily learn in a week. 3. You can start where you are. Local images are in high demand, not just wherever you live, but in stock agencies and magazines, too. Think about it: wherever you are, you’re the local expert. You can get to the main attractions at just the right time, when the light is good. And you can go back again to get a different shot whenever you need to. 4. Simple sells. While magazines and Instagram are filled with jaw-dropping landscape photos, sometimes a buyer just needs a great shot of some jelly beans. Or a croissant and a cup of coffee. Or friends taking a “selfie.” Instead of heading out into the wild with your tripod and five days of camping supplies, only to compete with the very best, you can grab your corner of the market with simple shots of your meals…your wine glass…cooking with your partner…the horse barn up the street…and whatever is near you. 5. The longer you wait, the more potential income you leave behind. You may have photos sitting on your computer’s hard drive that you could start selling this week. Why not take an hour to go through them, find a few that you think would work, and upload them to a stock agency? That’s all it takes to start. This moment could be the beginning for you. All you have to do to make it happen.